I started working on this knock-off Trader Joe’s edamame hummus recipe two weeks ago. And then on Sunday, my husband and I decided on a whim to stop by Trader Joe’s on the way home from the farmers market. Guess what? Trader Joe’s doesn’t even sell edamame hummus anymore. Or at least ours doesn’t. Horror! I love their edamame hummus. It was quite possibly my most favorite item sold by Trader Joe’s, after they cruelly stopped selling my beloved Middle East Feast. Oh yes, there was much gnashing of teeth and mumbled cursing in the refrigerated section of the Raleigh Trader Joe’s last weekend. Trader Joe’s! Stop introducing products just to take them away from us! You’re toying with people’s lives! But! Like I said, I had been working on making my own edamame hummus recipe anyway. And dare I say, I think it might just be better than Trader Joe’s edamame hummus? Yes, I dare say it! While I always loved the flavor of the Trader Joe’s version, I found it to be a tad too oily. My version cuts down on the oil and adds a boost of flavor with fresh herbs. I can never get hummus right when I make it with chickpeas, but edamame works so much better. And it doesn’t have that bean-y taste that you sometimes get with chickpeas. This is good! My favorite way to use edamame hummus is as a sandwich spread. I don’t like mayo or mustard, so edamame hummus makes a great substitute. 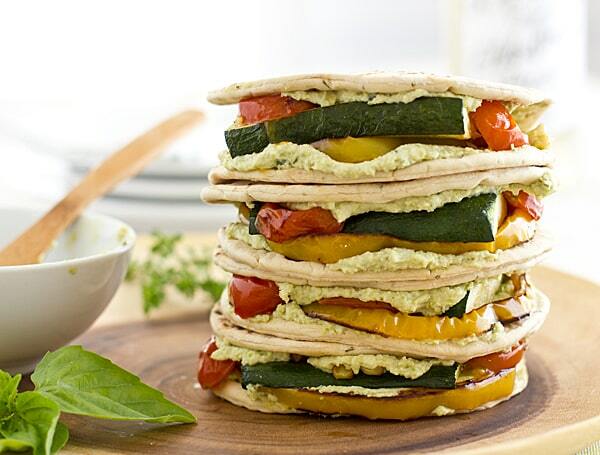 We had it on flatbread and topped it with roasted summer veggies for an easy weeknight meal. And of course, any kind of hummus is great as a dip for fresh vegetables, pita bread, or crackers. 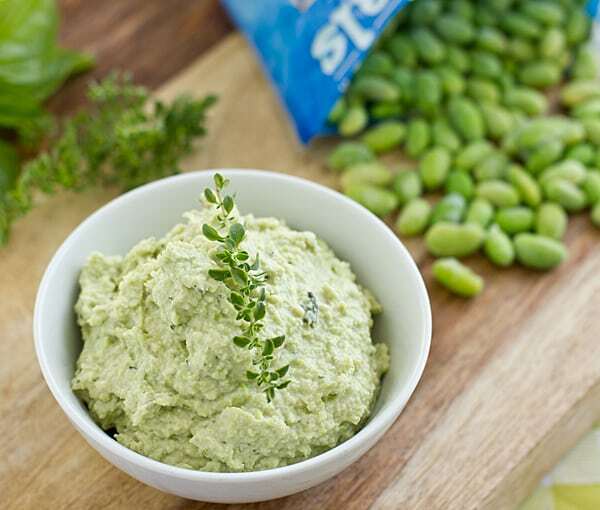 An edamame hummus made with lemon juice and fresh herbs. It’s even better than the kind Trader Joe’s makes! 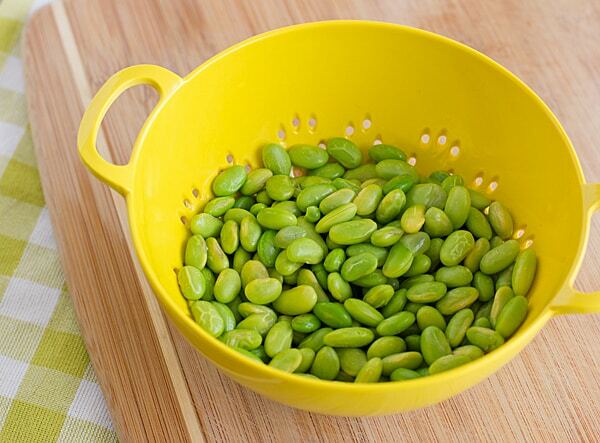 Combine edamame, tahini, lemon juice, garlic, and herbs in food processor. Process until smooth. Drizzle olive oil through feed tube, continuing to process until oil is fully incorporated. Season with salt to taste and serve. My husband and I had a disagreement over this hummus; I liked using 3 tablespoons of lemon juice, while he thought it was too lemony like that. So if you want your edamame hummus extra lemony, add another tablespoon of lemon juice. TJ’s edamame hummus has been recalled. Thank you for posting this recipe! I absolutely love JT’s edamame hummus but there was a recall so all of them stopped selling it. Definitely going to try this sometime soon. Kiersten, than you so much for posting your TJ’s edamame hummus recipe!! We were immensely disappointed when TJ’s stopped carrying it…..I think we were on a two tubs a week habit. I still check every week for it at TJ’s and it never reappears on the shelves. Recently checked with the store manager and he said it’s still on the books but they were looking for a new distributor for the product. I think that basically means that it no longer meets their price point and have dropped it. Very sad. I’ll be making this today! This post cracked me up, because I, too, was obsessed with the TJ’s edamame hummus, and freaked out when they stopped carrying it. When they had to recall all their hummus, we called it the hummus debacle of 2014, and then had to add a #firstworldproblems. I’m definitely going to try your recipe and see if it lives up to the glory of TJ’s! Thanks for the post! just made this adding a jalapeno, large handful of cilantro and extra lemon juice…….so yummy. TJ’s has a new edamame hummus now (same packaging) but it tastes COMPLETELY different. It doesn’t taste like edamame at all. Has anyone else encountered this? Update! The edamame hummus is back….and it tastes nothing like the original. Just bland and the texture is completely different, so HORRIBLY dissapointing! I am excited to try out this recipe, I’m desperate for the old hummus! I am a Canadian snowbird and I recently discovered TJ and their products. The edamame hummus is always on my ‘to buy’ list. Since I have not had it before, I can’t compare the taste, but I am very satisfied with it currently. This recipe will come in handy specially when I return to Canada, where I know this will probably not be available. Some of their fruits and veggies come from Canada, I noticed (tomatoes, frozen blueberries.) Thanks for the recipe though! 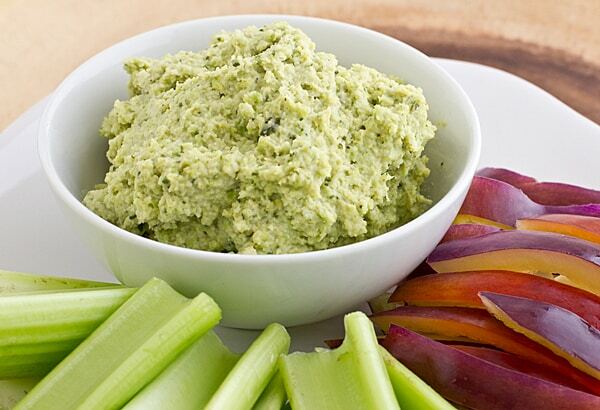 I also love TJ’s edamame hummus, Just tried this recipe. I think there is too much tahini. I too was on the hunt for the infamous Trader Joes edamame hummus. Found a brand called Eat Well Embrace Life edamame hummus at a HyVee store here in Kansas City but it is hit or miss if they have it on the shelves. I’m so excited to try your recipe. I have some tahini in the fridge just waiting to be put to good use! I don’t know if I’ve had the Trader Joe’s edamame hummus but I’ve noticed that there are several other brands that are making it. This is an awesome recipe and of the brands I’ve tasted, this is super comparable. It was exactly what I was looking for!